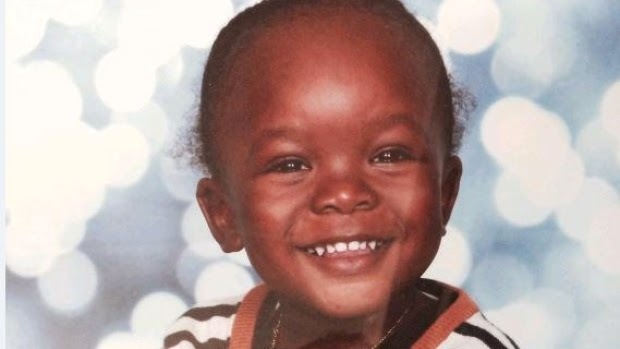 This morning while I was at work I saw on social media a 3-year-old boy had gone missing in the 401/Bathurst area in Toronto. Quite quickly it was discovered he had left his Grandma's apartment - alone - where he had been spending the night. He ventured out around 4 am when it was -17 C with the windchill making it feel like -28. Elijah had on a tee shirt, a pull-up and his winter boots. The photo of him leaving the building through the lobby is haunting, all of us now knowing what would happen to him after he pushed open that door. My heart aches for his family. All day I was refreshing Twitter - happy he was found, then crossing my fingers for a miracle while he was at the hospital. As a mom to a 3-year-old, I know just how clever they can be. This tragedy is no one's fault. I know, because at the age of 4 I also made it to my apartment's lobby - without an adult, but with my one year old brother in tow. I knew how to get on the elevator and press the button to go to the lobby. It was moving day and I suppose my brother and I somehow got lost in the shuffle. Most likely my Mom had told me to press the elevator button and wait for her and obviously I did not. When the elevator doors opened in the lobby, my Dad was standing right there and intercepted our escape. Why I chose to get on the elevator alone (well, again, with my one year old brother) I'm not sure. Why I pressed the button to go to the lobby, I'm not sure. But I did these things. And for an entire elevator ride, my brother and I were without adult supervision. And it wasn't anyone's fault. We will never know why Elijah put on his winter boots and left his Grandma's apartment so early in the morning on such a frigid day. Please do not blame his family - this tragedy could have happened to anyone, and I am living proof. Keep Elijah's family in your thoughts and prayers instead. I know I will be.